HÀ NỘI — The Ministry of Industry and Trade will host an international conference on Vietnamese rice in Hà Nội on October 10. The conference will be held on the sidelines of the Rice Trader (TRT) World Rice Conference in 2018, the world’s premier rice trade conference, which will be held from October 10-12, 2018 in Hà Nội. The conference is an important opportunity for Vietnamese businesses to meet and seek partners in trading rice and to advertise Vietnamese rice products, according to the ministry. In addition, the conference will bring solutions to Vietnamese rice exporters to improve the competitiveness of their products against those of Thailand, India or Cambodia, aiming at maintaining the market shares of Vietnamese rice in traditional markets such as the Philippines, Malaysia and Indonesia; and increasing market shares in China as well as expanding export markets in Europe and Latin America. The conference is expected to attract businesses, corporations and supermarkets importing, trading and distributing rice products such as COFCO (China) and Bernas (Malaysia), reported congthuong.vn. 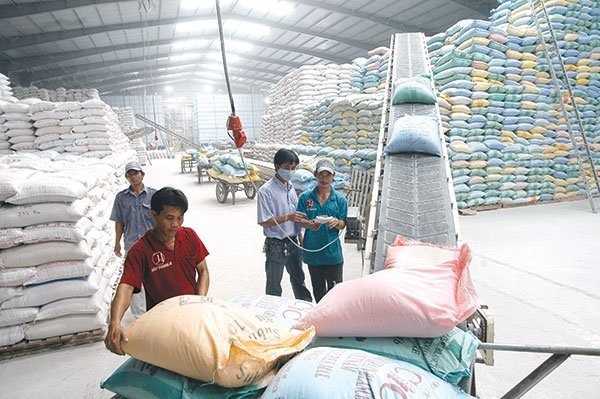 Việt Nam has exported its rice products to 130 territories and countries, including demanding markets that have strict standards for rice exports. The country is one of the three largest rice exporters in the world.